Home > Headlines > News > Ever wondered what Lane Departure Warning was? Have you ever wondered what that Lane Departure Warning system you see in the brochure of the vehicle you’re interested in buying actually is? Well if you have, this article will help you understand what the system does and why it can be useful. 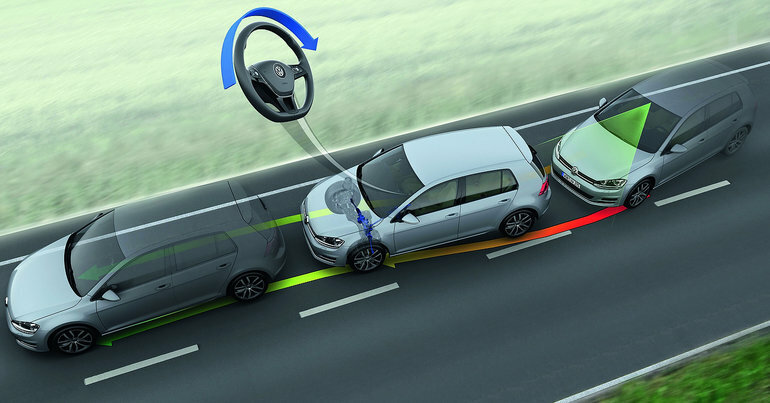 Usually enabled by a system of cameras and sensors, lane departure warning can actually read the markings on the road. Should you happen to deviate from your lane, the system will sound an audible and visual warning. The idea is to prevent distractions leading to an accident because we drifted out of our lane. The system can be paired with lane departure prevention which will automatically correct your path in order to prevent an accident or at the very least to make sure you don’t go out of your lane. To learn more, contact us today at Turner Volkswagen.